FLAVOR EXPLOSION ! 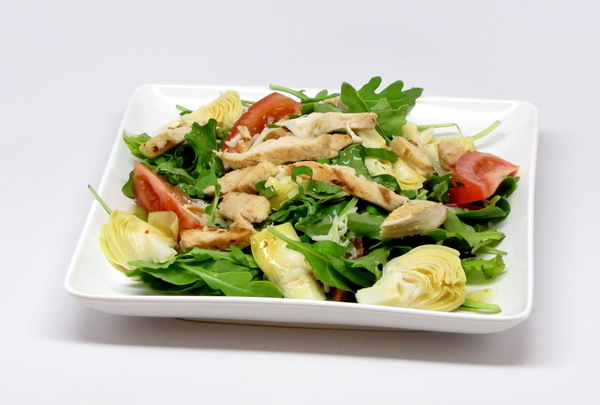 There are tons of bold flavors in this salad and dressing – and they mix to perfection ! Feta cheese, mustard, orange, radicchio, basil, feta cheese, sun dried tomatoes – – all mingling together to serve up a big, bold salad. Mash garlic with ¼ t salt and then whisk in the oil. Add juice, vinegar and mustard and whisk to combine. Add more salt if necessary. 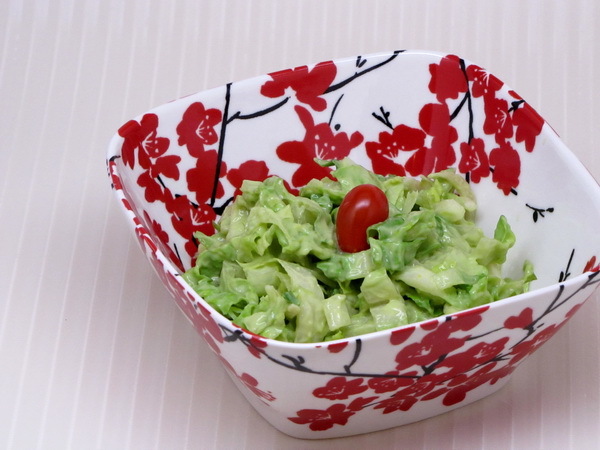 Prepare all salad ingredients and toss with dressing. Season with salt and pepper. 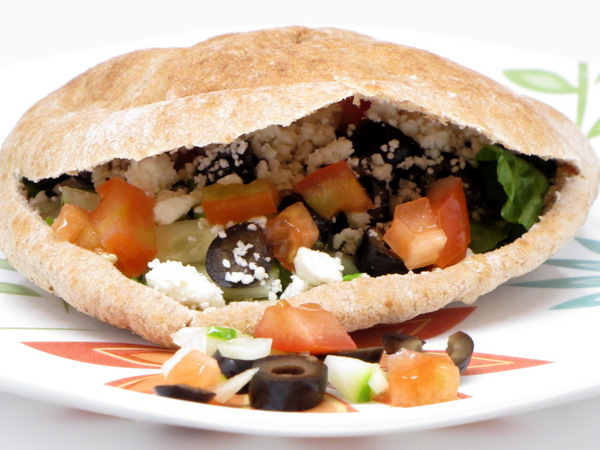 Nutritious, full of fiber, satisfying, filling, extremely portable – this is a great lunch salad. Cook corn according to package directions then drain and rinse with cold water to stop the cooking process. Combine dressing with chipotle chilies. 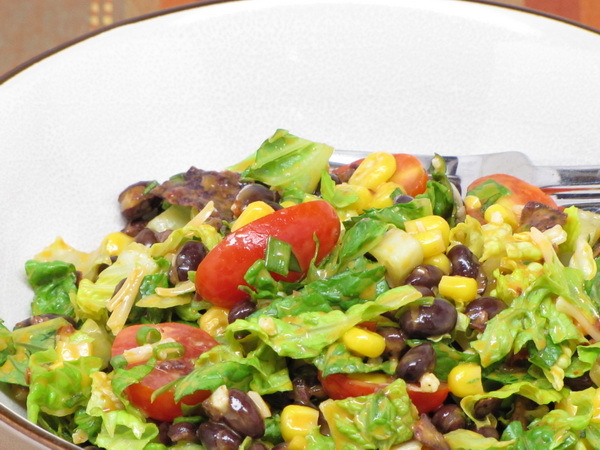 Combine corn, lettuce, tomatoes, onions, beans and cheese then add dressing and mix well. Garnish with chips and cilantro. 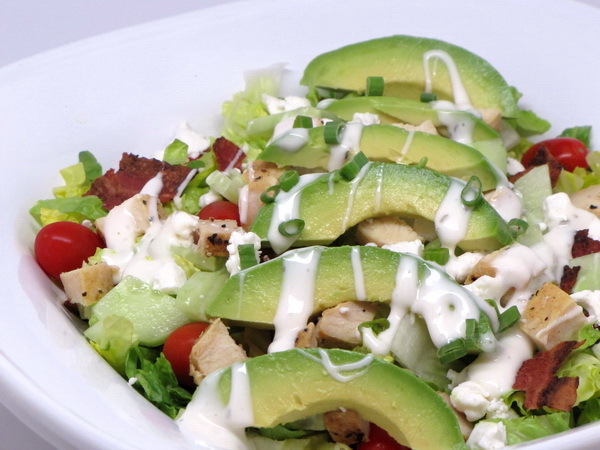 Cobb Salads are one of my favorites – there are always lots of good substantial ingredients so you get filled up and the bacon flavor always permeates all the other ingredients. 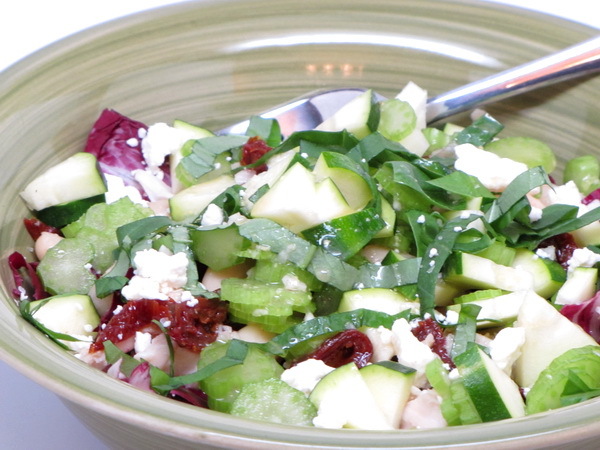 The goat cheese is a nice addition that you usually don’t find in a cobb salad. Divide the lettuce on plates, arrange an even amount of each of the ingredients onto each plate and drizzle with dressing. The avocado is unexpected and that makes it twice as good ! 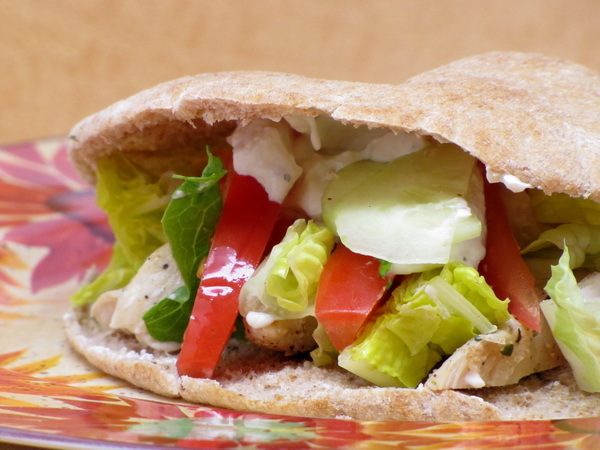 Mixed with the lemon and yogurt, this makes a very light yet creamy dressing. In a blender mix the avocado chunks, yogurt, lemon zest, lemon juice, salt and 1 T water until smooth. Put dressing in a bowl and add greens and mix well. This is sooooo close to my original Caesar Salad dressing and it is just a fraction of the calorie cost due to the reduction in oil and the removal of the egg yolk. 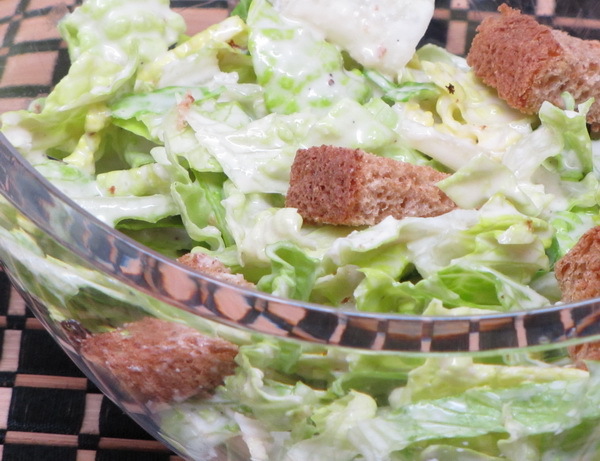 This has that biting garlic and anchovy taste that makes a Caesar salad one of the best things on earth ! Whisk lemon juice, garlic and anchovies. Add in oil, sugar, salt and pepper. 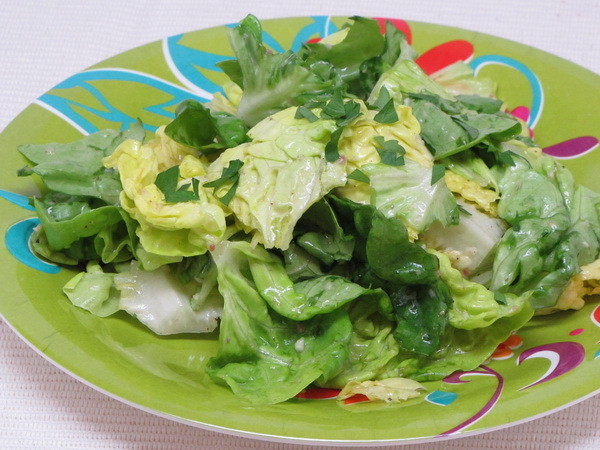 Tear lettuce and toss with dressing and parsley. To make the dressing preparation go quicker, drop the garlic and anchovies in a small food processor and process until well minced. Then add lemon juice, oil, salt and pepper and process until frothy and well mixed. A little chicken, lotsa vegetables and lotsa flavor ! 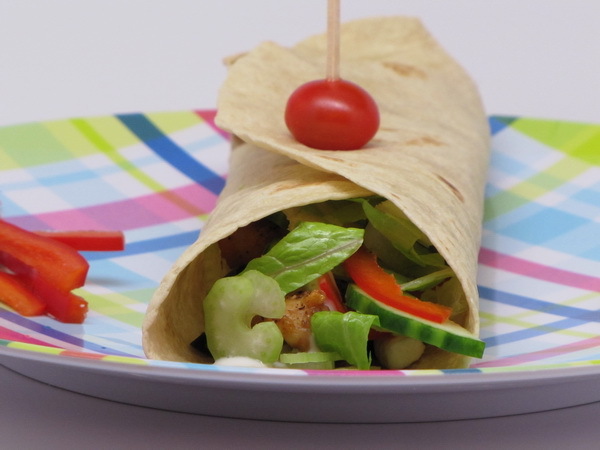 Layer all the ingredients in tortillas, wrap and secure with a toothpick. Here’s my instructional video in how to secure a wrap so nothing leaks out the bottom.